BATAVIA, N.Y. -- Each semester, Genesee Community College Board of Trustees visit one of the institution's six campus centers for its monthly meeting, rotating throughout the College's four-county, 2,400 square mile service area to appreciate the collegiate experience at the satellite centers. On Monday, October 1, 2018, the Board met at the Albion Campus Center, the very first GCC campus center location which opened in 1990 and has continued to serve Orleans County for 28 years. In his presentation to the Board, Associate Dean of the Orleans County Campus Centers Jim Simon illustrated how students of today continue to secure opportunities in higher education that not only lead to rewarding careers, but can change their whole outlook on life. In addition, GCC's campus centers are an important community access point for many other valuable partnerships such as Community Action. Bonnie Malakie, director of Children and Youth Services with Community Action of Orleans and Genesee Counties shared some of the important work provided by the agency which directly impacts and supports many GCC students and programs. She is a long-serving member of the Orleans County Campus Center Advisory Council, and has partnered with a significant number of GCC departments, faculty and staff members, such as working with student interns, hiring GCC graduates, encouraging volunteer service and board membership, and being a continuous conduit for networking opportunities. Trustees met several members of the Albion Campus Center, including Karen Krieger, a GCC advisor and an adjunct instructor of the First Year Experience and Career Exploration courses. Recognized as the Fall 2017 Instructor of the Semester, Krieger explained how she advises a diverse population of students, many of whom are initially intimidated by the large, main campus in Batavia, but "they grow their wings here at a campus center," she said. The Trustees also heard from Brandi Fidanza-Carson, an adult student enrolled in Human Services who anticipates graduating this December. As one of Krieger's advisees, Fidanza-Carson shared her experiences at GCC, highlighting the many benefits she has discovered. She encountered consistent, "one hundred percent" outstanding support not only by her advisor, but by each and every faculty and staff member who crossed her path. "I am here to say that it is never too late to go to college and there is always a way to achieve your dreams," she remarked. And to further illustrate this perspective, she spoke about her son, who is now a GCC student. He too, is pleased with his decision to complete his first two years at GCC. This semester, Albion and Medina Campus Centers are serving 234 students, and 360 Orleans County residents are GCC students. In addition, Orleans County Campus Centers have 11 staff members and 33 faculty members. Two Liberal Arts and Science programs, specifically General Studies, AS and Teacher Education Transfer, AS, remain popular majors. Also popular is the Health Studies Certificate which acts as a "feeder" program into GCC's healthcare programs such as Nursing, Respiratory Care, Sleep Technology and Physical Therapy Assistance. 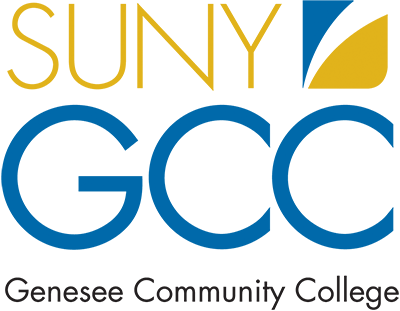 As important, however, are the many Orleans County Campus Centers' community connections. Simon listed more than 20 different college noncredit community programs that continue to reinforce GCC's middle name. From the new Orleans Wellness Initiative to Friday's Job Fair; supporting the inaugural Leadership Orleans to the long standing Liberty Partnership; numerous driving courses to many different soft and technical skills taught through The BEST Center-there are always positive events happening at the Albion and Medina Campus Centers. Area residents wishing to learn more about programs and courses at Genesee's Albion Campus Center may call 585-589-4936 or stop by the Center located at 456 West Avenue, Albion, NY 14411. Approved the new policy, Accessibility of Electronic Communications #1037, which reinforces the College's efforts to make GCC's websites and web-based applications compliant under the standards established by the ADA (American Disabilities Act) and OCR (Office of Civil Rights). Heard Board of Trustee Chairman Donna M. Ferry report that trustee Laura J. Bohm has resigned her position on the Board as of October 1, 2018, due to having relocated outside Genesee County. Heard GCC President James M. Sunser report that representatives from New York State Comptroller's Office are currently at the Batavia Campus conducting a performance and compliance audit of Genesee Community College, starting with an in depth risk assessment. Heard President Sunser announce the temporary one-year appointment of Tyler Kimball to the position of audio visual service coordinator. Kimball, is a graduate of SUNY Oneonta's Mass Communication program. Heard Student Trustee Diamond Jones report on the Student Government Association monthly meetings and two newly established student clubs, specifically a Music Club and the WOKE Diversity Club.